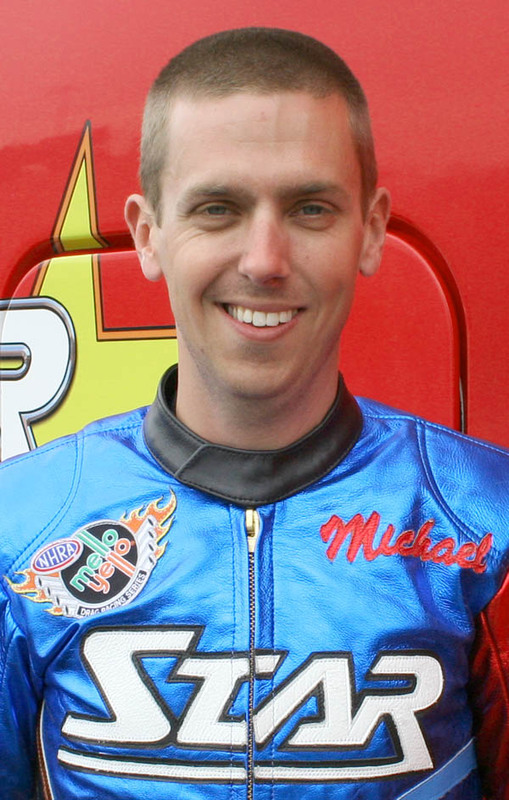 Star Racing-Michael Ray” src=”http://www.cycledrag.com/wp-content/uploads/2013/09/Pre-Dallas-Sovereign-Star-Racing-Michael-Ray-300×124.jpg” alt=”” width=”300″ height=”124″ />The AAA Texas NHRA Fall Nationals this weekend, Sept. 20-22, will present a special opportunity for Sovereign-Star Racing driver No. 4 Michael Ray to relive his first career win from last season as he and teammate No. 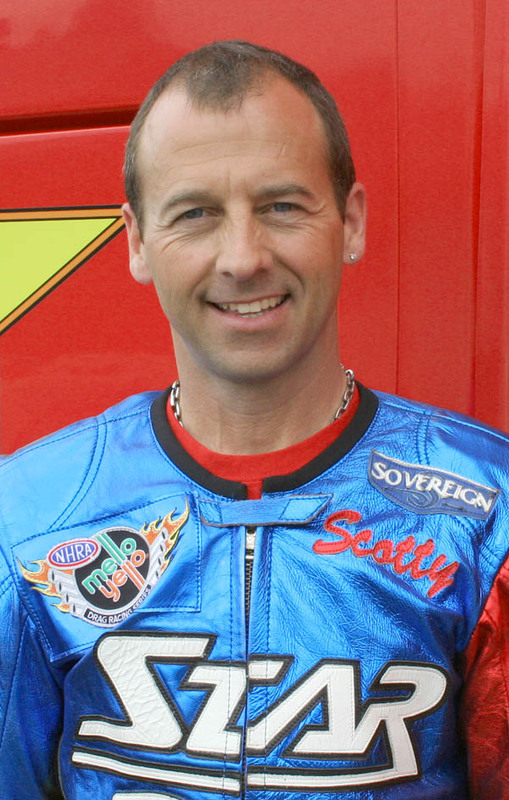 5 Scotty Pollacheck compete at Texas Motorplex in Dallas, Texas. This weekend’s event marks the second of six races in the NHRA Countdown to the Championship and is also the second of four back-to-back race weekends in Charlotte, N.C.; Dallas, Texas; St. Louis, Mo. ; and Reading, Pa.
As the Sovereign-Star Racing crew heads out on the road for the next three weeks, their first stop will be Texas Motorplex in Dallas where Ray claimed the first NHRA national event win of his career in 2012 while also breaking the Harley-Davidson Screamin’ Eagle/Vance & Hines team’s 16-race winning streak. Instead of focusing on all the hype surrounding his win from last year, Ray hopes to channel the positive energy from that experience to focus on another win at his home track this year. “There’s definitely going be a lot of media attention toward it, especially since we’ve had so much success this year with the Sovereign-Star team. It’ll be fun to go back home, and I know my way to victory lane there. We just want to seize the moment and enjoy it. It was great winning last year, but you have to keep pushing forward because nothing in the rearview mirror is going to help you go anywhere,” Ray said. 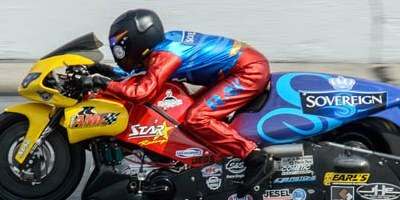 So far during the 2013 NHRA season, the S&S Cycle-powered Sovereign-Star Racing Buell motorcycles have claimed two NHRA national event wins, five final round appearances, two No. 1 qualifying positions, two low ETs of the event, and a new track speed record. The team is expecting good performance numbers at Dallas after qualifying No. 2 and claiming the low ET of the day during final eliminations at Charlotte last weekend. “The engine development program is really starting to bare performance gains we were looking for at the right time this season. This week, we were back at home for only two days. We swapped engines on the bikes, rebuild the ones we raced in Charlotte and continued to implement changes from the things that we learned at Indy and Charlotte to prepare for Dallas, St. Louis and Reading back-to-back without coming home for about a month,” team co-owner and crew chief George Bryce said. After finishing his rookie season in seventh last year for Sovereign-Star Racing, Pollacheck knows the importance of each pass once the Countdown has begun. “There are only ten of us that even have to worry about points, and now every single round and run will count more than ever. You have to really focus on winning rounds now with only six races to go, especially since we already have catching up to do to get to Jr. You have to focus more on the motorcycle, whether it’s qualifying or eliminations,” Pollacheck said. Ray, who is also in his second full year of racing Pro Stock Motorcycle, agrees that the Countdown can make or break any good racer’s season. “When you look at the Countdown, there are a lot of things that have to go your way that are 100 percent out of your control. So, I’d say don’t worry about anybody else’s points for the next three races; just go racing. I’ll take every free point I can get, and I’ll earn each one I can on Sunday, but my main concern is going out there and racing well. You can make up a lot of points in just one race. I went from seventh to fourth (in the points) last year in just one race when I won Dallas. You can have one really good race to set you up,” Ray said. The Sovereign-Star Racing teammates will compete this weekend Sept. 20-22 at the AAA Texas NHRA Fall Nationals at Texas Motorplex in Dallas, Texas. Television coverage of the event begins with qualifying from 11:30 p.m. – 1 a.m. (EST) on Saturday, Sept. 21 on ESPN News and final eliminations from 8:30-11:30 p.m. (EST) on Sunday, Sept. 22 on ESPN2. Harley to Build a 500 c.c. Motorcycle?